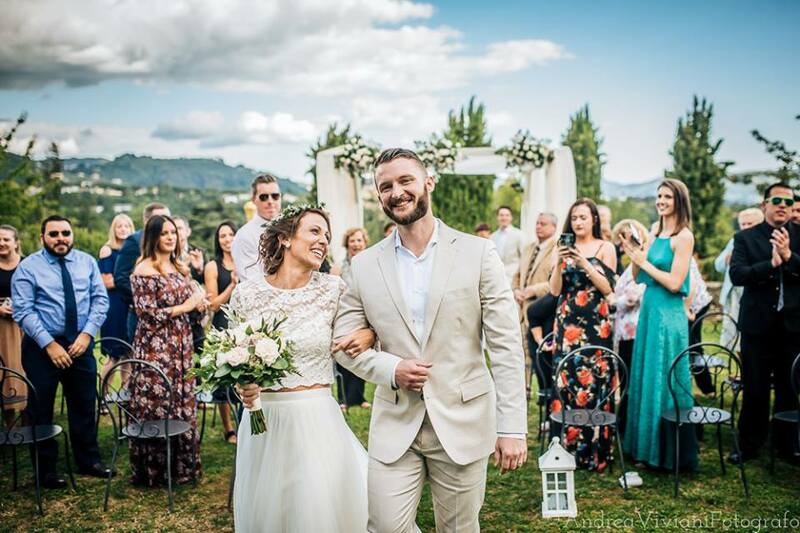 “When you first decide to get married in Italy, the only thing that fills your head are the beautiful rolling hills of Tuscany, and your upcoming picture-perfect countryside wedding. What you don’t think about (and what very soon becomes your reality) is how the heck you’re going to get it all done! Being from the States, we couldn’t just simply pop over to visit venues and vendors. We also didn’t realize all the extra legal paperwork we had to have prepped before the wedding. We decided very early on that we needed help. We started searching for wedding planners online and came across Lisa’s site; it was everything we were looking for and more! From our very first conversation I knew we had found the perfect person. Having Lisa as a planner was more like working with a close friend. She has the uncanny ability of knowing exactly what you are looking for. Any time I was stressed I was instantly put at ease by Lisa’s responsiveness and knowledge.